Josh and I never really gave it a second thought that our house was filled with wallpaper. We naively thought we’d have it all down the week between getting the keys and actually moving in. Let’s just say this wallpaper was really attached to its wall. 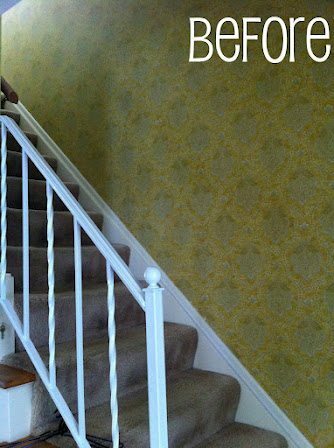 Between the dining room, entryway, stairway, downstairs bath, upstairs bath, master bath, and a little in the basement, we had no idea how many hours of wallpaper removal we had in our future. Fortunately hubs and I have THEE most amazing family. 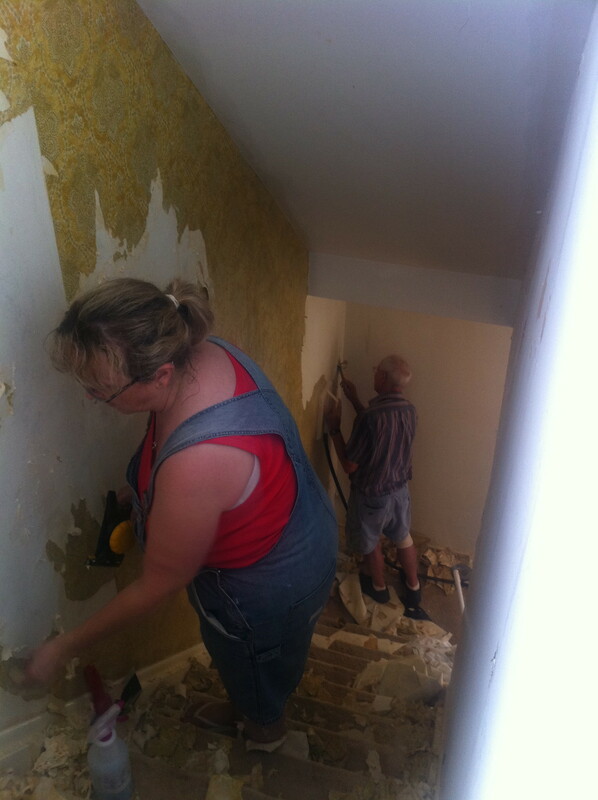 So many of our family members spent that ‘work week’ before we officially moved in tearing down wallpaper for us while we were at our jobs. They were able to complete the dining room, entryway, stairway, and downstairs bath. WOW! We owe them.. But, it pretty much took ALL week and was a HUGE headache.. We even contemplated leaving all of the wallpaper and painting over it but in the end decided it would be best to just have it gone. Because of some drywall damage in the entryway and stairway we did have to hire someone to come patch and mud over all the imperfections in the walls. 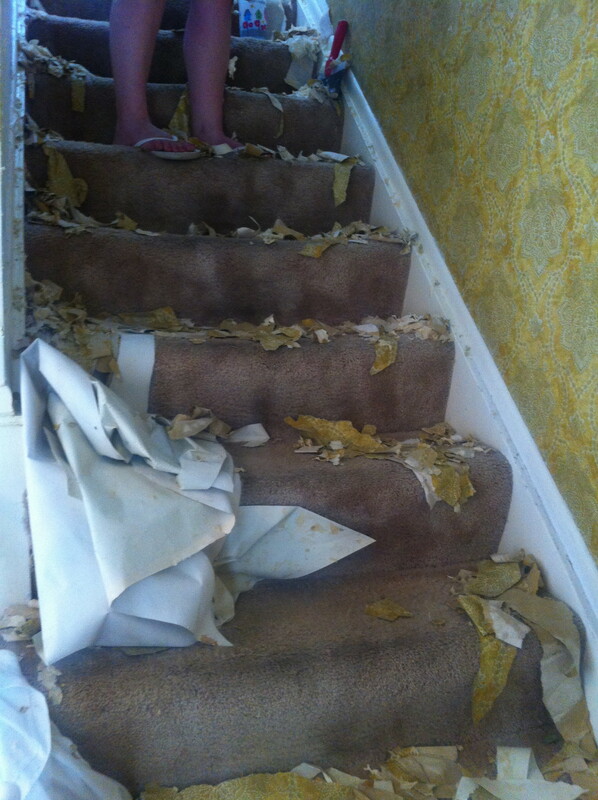 We planned on getting new carpet, so we didn’t have to worry about protecting the carpet during the removal as seen below. 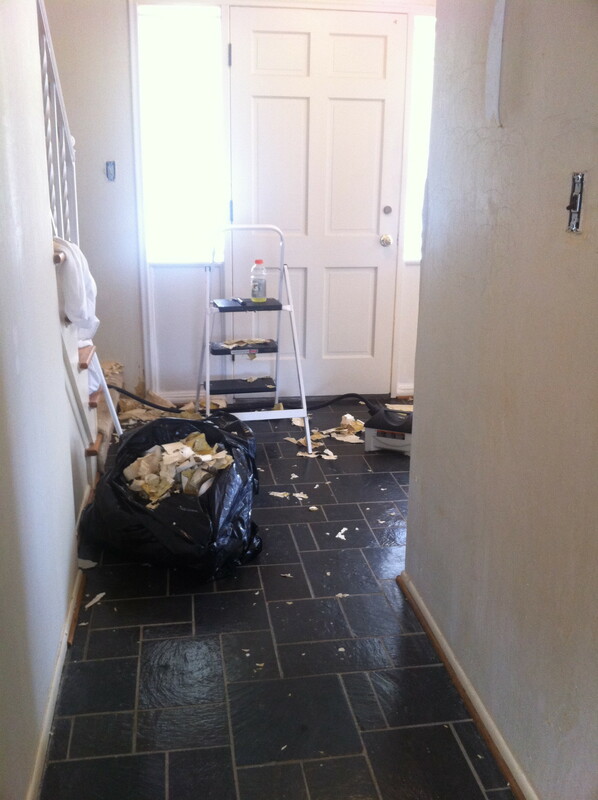 Next post.. removing the old carpet!